Summer is in full force, yet again. We are all experiencing heatwaves no matter where we live. So, what do we do? Easy, wear t-shirts. But, are all tees the same? The quick answer is no. But, and here’s the real shocker; whichever t-shirt that you like to wear is probably the right one for you. I’m a sucker for patterns and strips on my shirts and jackets. 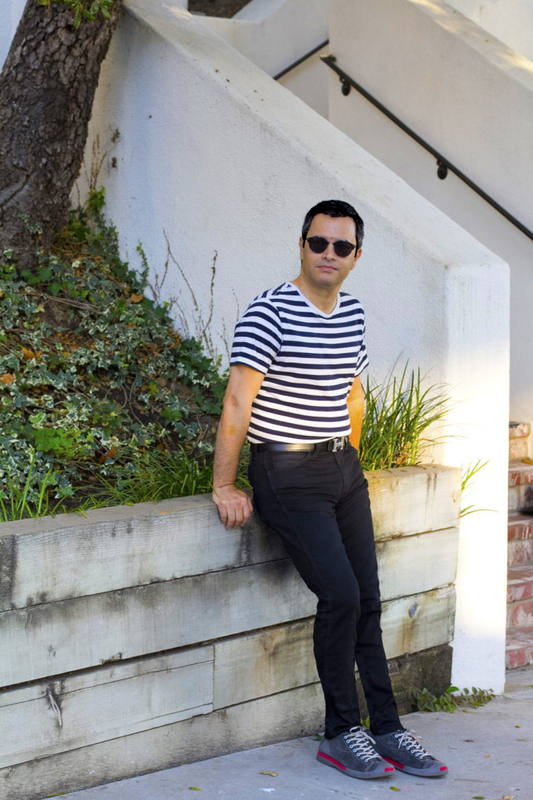 I’ve found, that for me, I can style a striped t-shirt as long as I’m wearing a single color pants, jeans, or shorts. 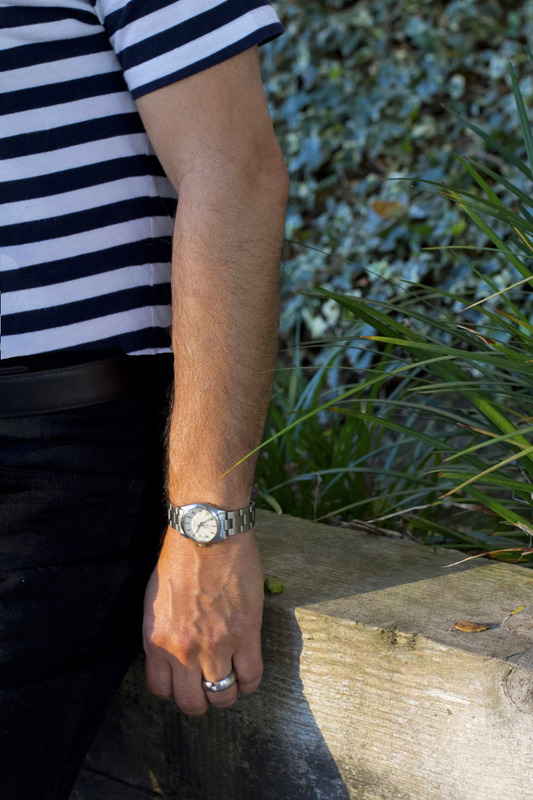 Today, I’m wearing a blue & white striped t-shirt with black jeans and a vintage Rolex watch. a reversible Hermes belt, Banana Republic black sneakers, with a hint of red for a pop of color! This is a cool attire that will work well in the heat. It’ll also work into fall by just adding a sweater or jacket to keep you warm. I like to make outfits, were no one single piece is the main point, but where I ca mix and match according to my mood. These are basic pieces that can be worn most of the year. So, this summer, stay cool with basic pieces, and add a few bling items and you’ll be set to go! Hope you enjoy this summer post, let me know what you think, and please don’t forget to follow me on Instagram.